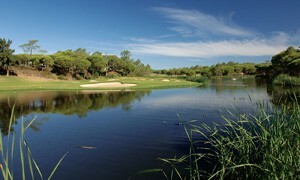 Experience life as a European Tour Golf Professional. Enter this amazing individual and pairs Stableford league competition and play your way to an expenses paid Grand Final in Dubai on 3 championship courses, finishing on The Earth Course. A season-long knockout competition open to amateur golfers across the South of England and Wales. Compete in the individual and pairs competitions and get the chance to win a place in The Grand Finals at the San Lorenzo Golf Course and stay in 5* luxury at The Dona Filipa Hotel in the Algarve, Portugal. A season-long knockout competition open to amateur golfers across England, Scotland and Wales. This fantastic opportunity to compete in the individual and pairs competitions is delivered in partnership with Golf in Abu Dhabi, Etihad Airways and Rotana Hotels. The UK's only amateur wrap-around season matchplay competition. 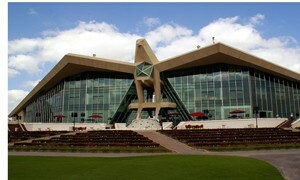 The Abu Dhabi Matchplay Golf Championship is a season-long knockout competition open to amateur golfers across England, Scotland and Wales. This fantastic opportunity to compete in the individual and pairs competitions is delivered in partnership with Golf in Abu Dhabi, Etihad Airways and Rotana Hotels. 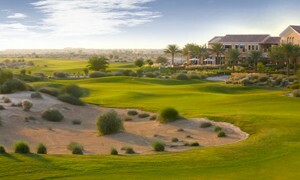 The League to Dubai Grand Final gives you the opportunity to play some of the finest courses in the World. 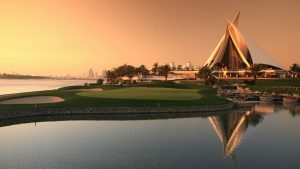 Finalists will play 3 championship courses finishing on the Earth course home of the European Tours season finale, the DP World Race to Dubai. The Southern Matchplay Golf Championship is a season-long knockout competition open to amateur golfers across the South of England and Wales. This is a fantastic opportunity to compete in the individual and pairs competitions and get the chance to win a place in The Grand Finals at the famous, award wining San Lorenzo Golf Course and stay in 5* luxury at The Dona Filipa Hotel in the Algarve, Portugal. Want to be kept up to date on news, updates and special offers? Sign up for our e-newsletter today!